We’re XCTEQ Limited, a London-based, first-ever Mobile DevOps consultancy specialised in DevOps, CI/CD, Intelligent Test Automation practices for mobile apps. XCTEQ help companies, from start-ups to global enterprises to release quality app faster through build, test and release automation. We make sure that you can ship quality apps to Apple App Store as soon as possible with robust automation and other AI/ML techniques. Apple developer tools are at the core of XCTEQ. We also provide technical content marketing services in the area of Mobile CI/CD, DevOps and Test Automation to boost your tech content strategy. Our thought leadership comes from our tech blogs, books, articles and tech events to promote cutting edge Mobile DevOps practices. We were awarded as Top Technology Influencer of 2018 by FitSmallBusiness. Read more about the other influencers. XCTEQ provides mobile DevOps services to boost the development of mobile apps. Some of the technical services are related to mobile DevOps and CI/CD while others are related to Test Automation and Tech content marketing. XCTEQ also provides the coaching and writing services for clients who want to boost content strategies. Below are some of our key services. XCTEQ provides tech content marketing services to boost the content strategy to achieve your business goals. 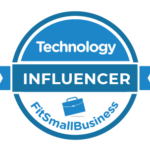 Our expert bloggers will educate and engage your customer with high-quality content on the latest tools and technologies in the Mobile, DevOps, Test Automation and AI/ML space. We can also write a usage guide of product/services on your official blog. XCTEQ content marketing packages you get both technical and SEO focused content at one place, our highly technical tech bloggers will create demo projects on Github, videos, webinars and ebooks for your products to reach to the potential customers.Download XCBlog iOS App to see our expert blogs or Read blogs on Medium for our work. Gone are the days, where one or two iOS developers used to build apps for the companies. As a large number of apps are being built with a team of developers, there is a need for a Continuous Integration system for iOS projects. The process of setting of CI for iOS is complex. There is not only Jenkins but multiple CI options like Xcode Server, TeamCity, BuildKite for self-hosting. There are also cloud-based services like TravisCI, CircleCI, BuddyBuild, Bitrise, Nevercode etc. We will help you to select the right CI service for your team and implement all the necessary things to get up and running with Continuous Integration. Read Our series of articles on how we have evaluated all the existing Cloud-based CI servers with the sample app. Mobile DevOps especially iOS has unique challenges. It is way more complex than web platform. We are specialised in setting up fully automated CI/CD pipelines on any CI server including Xcode Server, TravisCI, CircleCI, Jenkins, TeamCity etc. We can automate the iOS build using native Apple developer tools or using third party tools like Fastlane. This skill is indispensable when it comes to leaving a lasting impression on a client, and ensuring they can release iOS apps continuously without any hassle. Just merge code to the main branch and get the build on TestFlight from the CI server. Since iOS 10, all the existing mobile test frameworks e.g Appium, Calabash got broken as Apple deprecated underlying UIAutomation technology. It caused trouble in QA industry testing iOS apps using traditional programming languages. Apple launched XCUITest framework to test apps in Swift. We are specialised in the Swift and XCTest framework and can set up entire native, reliable, robust test automation framework from scratch. We can cover functional, integration, performance and API test using Apple’s own XCTest framework. It’s essential to share the knowledge and train other people so that the automation practices and DevOps principles for iOS can be adopted by most of the iOS team. We can train iOS developers to build automation & CI/CD pipelines setup with native Apple developer tools or third-party tools like Fastlane. We can also coach iOS QA engineers for Swift/XCTest for UI and API testing for iOS apps. Apple has launched CreateML framework to create machine learning models that can be used in the iOS apps. We can explore and see if this can improve the QA process. We can also train some models to automate day to day iOS development tasks. We can also explore how to test iOS apps built with ARKit, CoreML technologies. This is the new area and needs exploration in the near future. XCTEQ will investigate more in this area. XCTEQ has proven experience in Mobile DevOps, setting up CI/CD and automating builds and test for iOS apps. We are expert in XCTest framework from Apple and can contribute a lot to your existing problems in the iOS team. Check out our products and tools for more. If you answer “YES” to one or more following questions, then you must check out the services of XCTEQ. Does your iOS app take days/Weeks/month to release? Does your iOS team stays in the Office till midnight on release day and lead iOS engineer does release from local Xcode? Don’t have CI/CD setup for iOS app? Do your iOS developers are spending a lot of time doing DIY DevOps, setting CI/CD pipelines rather than building business features? Have you got dedicated DevOps engineers, just to manage CI/CD for iOS applications? Are you using time-consuming, unmaintainable CI tools for iOS development? Is your QA team becoming the bottleneck in releasing an app? Don’t have a non-functional, API testing strategy for the iOS app? Is your team having trouble understanding native Apple developer tools and wasting a lot of time and money on third-party solutions? Are you struggling in your content strategy and need to boost writing for your product to reach an audience? We bring a wide array of professional DevOps, test automation, CI/CD services to the work we’re involved with. We can manage it all while maintaining high standards of quality. Get in touch today and let’s transform your mobile app development into something exceptional.